Healthcare is developing towards a world wherein care is delivered in a highly personalized manner, attuned to the needs of individual patients, based on actual, precise and reliable data. Real-time personal sensing devices will become more and more important; these will change healthcare in the 21st century for the best possible diagnosing, monitoring, coaching and treatment of people. Biosensors will become smaller, faster, more integrated, more specific and more sensitive. SensUs strives to accelerate the development of sensors for health and to stimulate education and innovation in the field of biosensing. This is realized by organizing the unique annual SensUs student competition with worldwide impact. In this track you will organize this competition without a standard scenario and restrictions. You are completely free in how you are going to tackle the challenges within our organization. You are stimulated to take initiative and define your personal learning goals. Organizing SensUs gives you the chance to grow, both as a professional and as an individual. 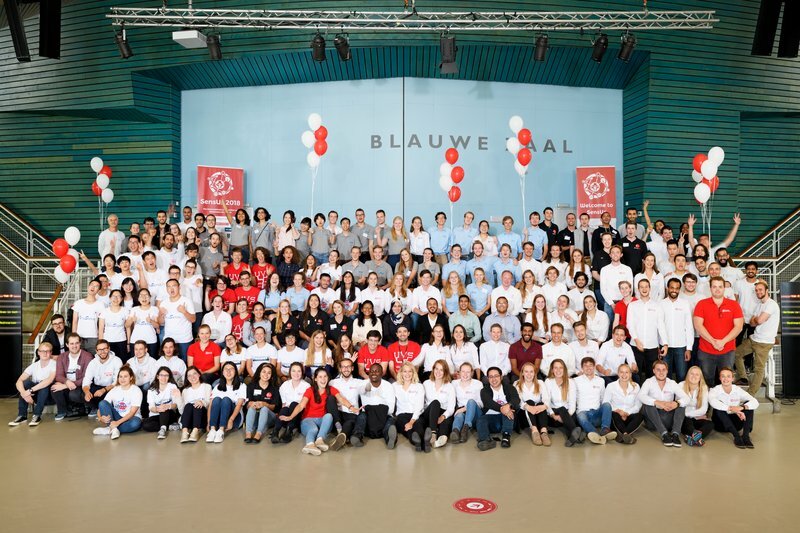 It is an unforgettable experience to achieve this by intensively working together with a group of motivated students.a group of very motivated students! 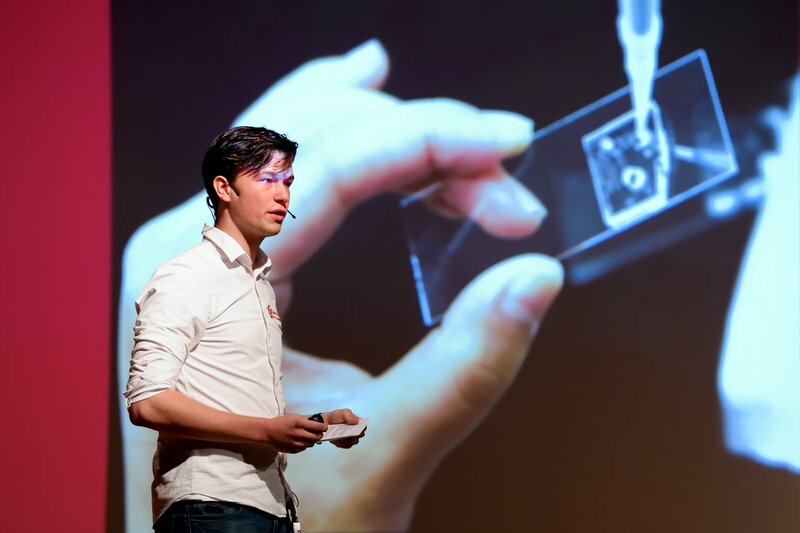 SensUs was founded at the TU Eindhoven in 2015. Since then the student competition is organized annually for students, by students. 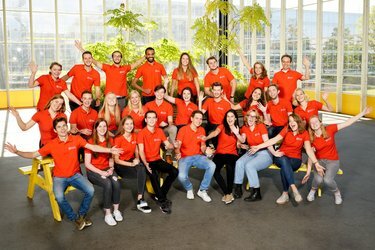 Student teams from universities all around the world are challenged to design and build their own biosensors within an impressively short period of only 9 months. All teams come to Eindhoven to demonstrate their prototypes and compete against other student teams for several awards. Take a look at our aftermovie (see the right column) to get an idea of what the competition looks like! However, SensUs is more than a competition. We develop a vibrant ecosystem with innovative companies, experts, patients, students, startups, and healthcare professionals. We stimulate education by offering a highly innovative form of education geared toward multidisciplinary, goal-oriented, learning-by-doing engineering. Next year SensUs will grow, more international universities are joining and thus the testing and judging methodologies will be revised. We will look for new partners and new promotion strategies. Each year a new healthcare theme is addressed, with new collaborations and new stories to tell. Furthermore, we will have an exciting new development next year: SensUs Connect. This is a novel online platform on which we will build our own international social community in the field of Sensors for Health. This will become an ecosystem with universities, companies, students, healthcare organizations and startups to maximize interactions and create new business models. SensUs Connect will be a great experiment that will lead to new concepts with impact well beyond SensUs. Is innovation embedded in your genes? Are you ready to innovate SensUs and develop yourself? Then we look forward to meet and work with you! If you are interested in joining the SensUs organization of 2020, we invite you to participate in our Information lunch on Thursday 2nd of May 2019, 12:35-13:20 in Innovation Space (Matrix, TU/e). The deadline for your application letter is May 10th. Briefly introduce yourself and explain why you want to be a part of SensUs. Please send your application letter to the track guide, prof. Menno Prins (m.w.j.prins@tue.nl) and the secretary, Yannick Leurs (contact@sensus.org) no later than May 10th, 2019.